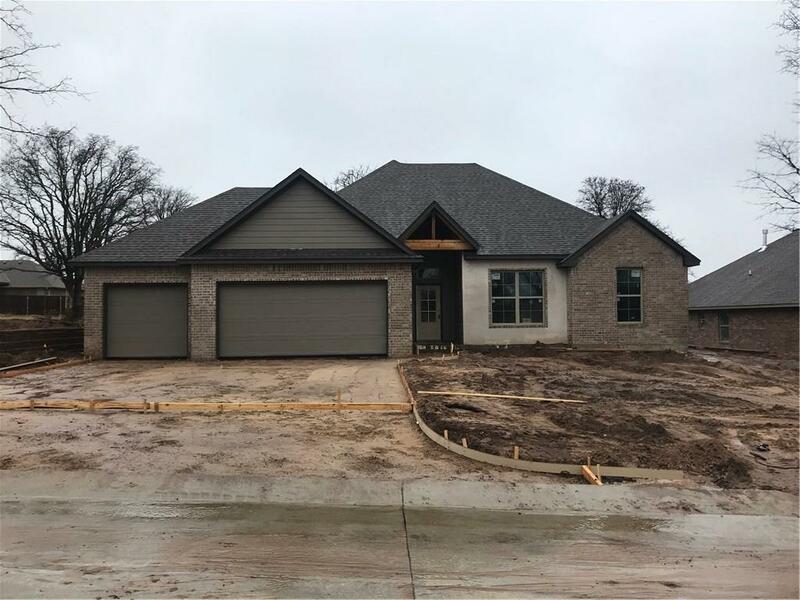 3 bedroom, 2 bath, office, 3 car garage. NEW HOME UNDER CONSTRUCTION!!!! Getting ready to pour driveway and sidewalks. In the upcoming days will see shutters on exterior of home. Approx 6 weeks to finish. Home is 3 bedroom, Study, 2 bath, 3 car garage, open floor plan. Quartz Kitchen counter tops. Utility room accessible through hall or Master closet. Wood look tile in main area of home. Home is painted with warm grays, painted woodwork. Must see home Local Builder Greg Smith. Close to Shopping, schools, Eastern Oklahoma Vo-Tech. Some minor changes have been made to posted plans.